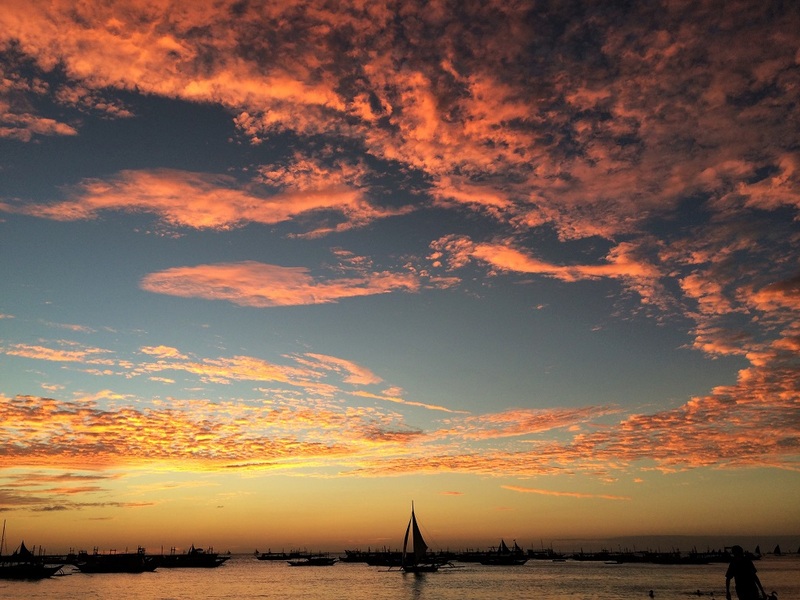 Boracay, a tiny little island in the Visayas of the Philippines, is world famous for its long stretch of white sand, gently swaying palm trees, clear azure waters, little white sailboats, and vibrant sunsets. At least that’s what every single picture ever taken of Boracay looks like. 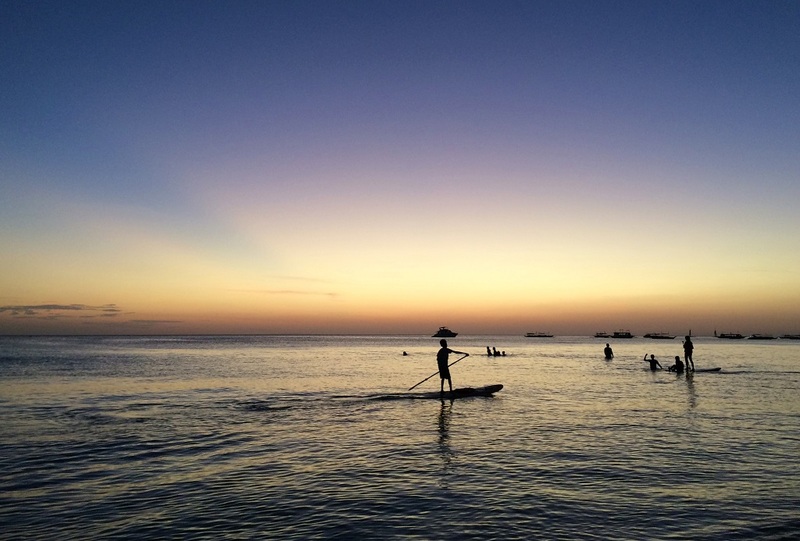 Boracay looks like a picture-perfect tropical paradise. We didn’t have plans to go to the Philippines, but after hearing a few people rave about it, we looked into it. 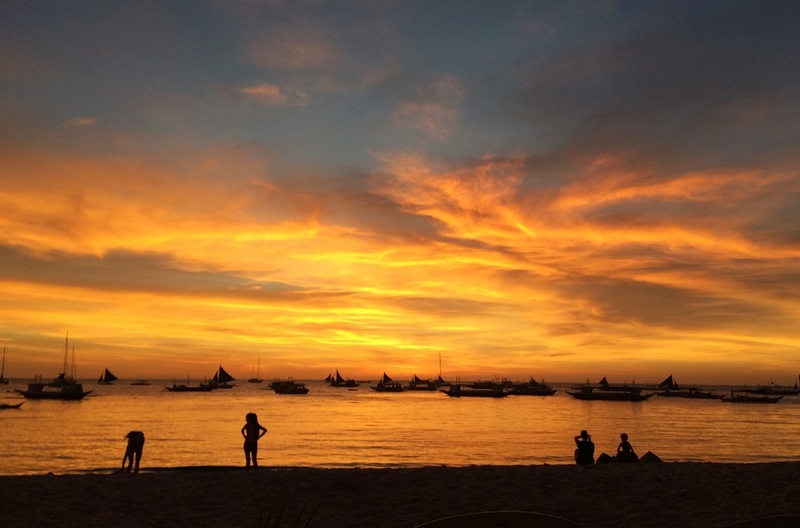 All blog posts I read also sang of Boracay’s highest praises. We found an airbnb right off the sand that was quite reasonably priced for one month. So it was decided: we were going. Beaches are my favorite, so I couldn’t wait to visit the most beautiful one of them all. Now that I’ve had some time to think about my month on the island, I can say that while Boracay is gorgeous, it wasn’t my paradise. Here is everything I observed about Boracay and what Boracay really looked like from behind my lens. White Sands Beach is the famous 4 kilometer stretch of soft white sand. Along this stretch is where all the resorts and guesthouses are located. It is split up into three sections called Station 1, Station 2, and Station 3. STATION 1: This is where all the people with money come to stay. Station 1 has the widest beach and the softest, whitest sand. Walking on it is like walking on flour. This is where all the nicer, more upscale resorts are located. Of course, since we’re not luxury travelers, we did not stay here and hence didn’t spend too much time here. STATION 2: I think of this as the backpackers district. Station 2 is the most crowded and where most people stay. D’Mall (an outdoor shopping and dining center) and D’Talipapa (the seafood market) are both located here. This area is jam packed with bars, restaurants, touristy souvenir shops, and beach hair-braid & tattoo artists. As soon as the sun goes down, the clubs open up and the neon lights and music can be seen and heard from a mile away. This was not our scene either, though we had to come here almost daily to do our grocery shopping. It really was this crowded at Station 2 most of the time. The crowd took away from the peace and beauty of the place, but I try hard to not complain about other tourists since I’m one of them too! Also, this area has the most hasslers. You can’t stroll down the beach without being asked if you want to buy a selfie stick, massage, or a parasail tour every few feet. While annoying, it didn’t bother me toooo much. Maybe because I already got used to it in other Southeast Asian countries. But this is still something to consider. STATION 3: This area is more filled with locals and family travelers. This is where we stayed (at the far end) as we prefer a more relaxed, laid back vibe. The beach isn’t too wide here and the sand is noticeably yellower and rougher, but this is more like the peaceful paradise I envisioned. At night, it’s blissfully quite. The only sounds are diners enjoying a meal on the sand or soft guitar music from live entertainment. When we finally got to the island, I couldn’t wait to get into the water. But wait! What’s all this green stuff floating around?? The locals told us that this green algae is a seasonal thing and to just wade out past it. No biggie, they said. For a couple of days, we tried to ignore the slimy green stuff, but it was seriously gross. The algae gathers at the shallow part where the waves hit the shore, thus making it impossible to just play around in the waves. At times, this “green soup”, as we started calling it, is so thick and dense that it’s almost black. All of a sudden, we weren’t too thrilled about playing in the ocean anymore. And yes, after a swim, the green slime gets everywhere. As such, you can imagine that some parts of the beach doesn’t smell too good. Station 1 is gorgeous with the wide stretch of white sand, but as we strolled along it, we were hit by a pungent stench akin to that of raw sewage. My nose burned and my eyes stung. How could it be that people were just hanging out on the sand in this stench?! This one was highly disappointing to me. I was so looking forward to swimming in warm tropical waters. The first day, I eagerly ran out into the sea (despite the green soup), and eek! – the water was cold! Not super cold, but enough that I had to coax myself to get in (I should admit that I’m kind of a wimp. D rather liked the cool water). We went during March, which is the height of tourist season, and I’m not sure if the water gets warmer in other months. We went on an island hopping tour, part of which took us to Crocodile Island for snorkeling. The guide said that it’s a popular spot for snorkeling so we were excited to see some underwater wildlife. So imagine our disappointment when we donned our masks and snorkel, jumped in, stuck our heads below the surface, and saw…. dead coral! There were plenty of small fish, but nothing to write about. 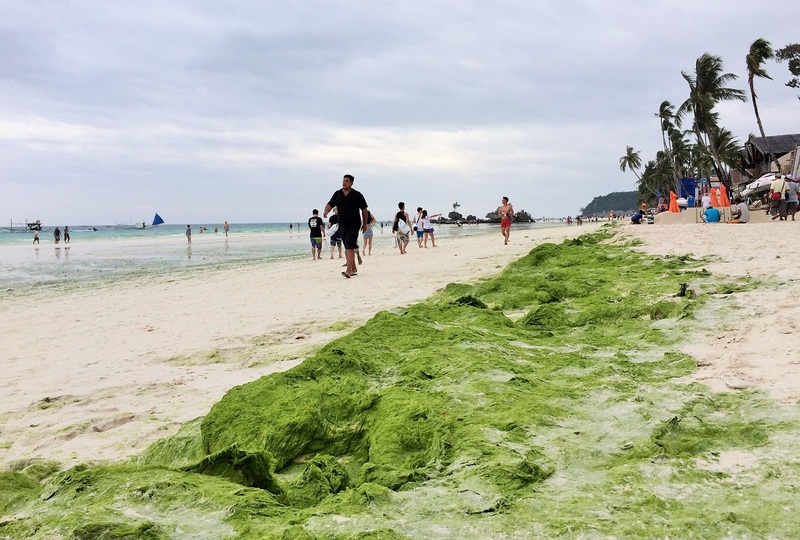 After poking around online a bit, I read that the coral around Boracay has been almost completely destroyed. Some articles say it was destroyed by too-warm water, while others say it was by unregulated fishing activities and pollution due to tourism. Either way, I can’t imagine why anyone would spend money to dive here. So it is worth a visit? 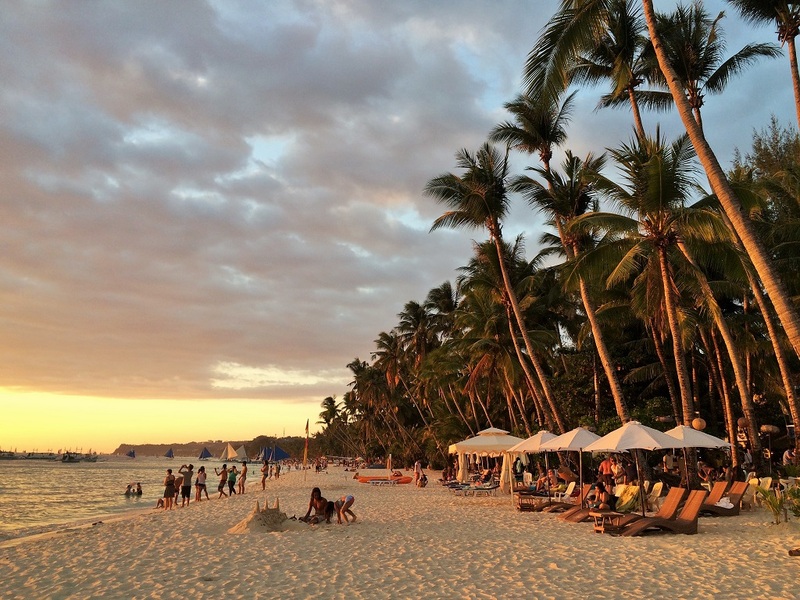 Even with all the development, Boracay’s beaches are still picturesque. But heavy tourism is definitely creating lasting, damaging effects. The explosion in population is causing more pollution to be leaked into the ocean. In talking with a local who lived his entire life on the island, he says that Boracay is no longer the peaceful paradise he remembers. So is it still worth visiting? I think this depends on what you want out of a beach vacation. I’m sure there are more pristine beaches in the Philippines (I hear good things about Palawan!) if you want the true lonely beach experience. 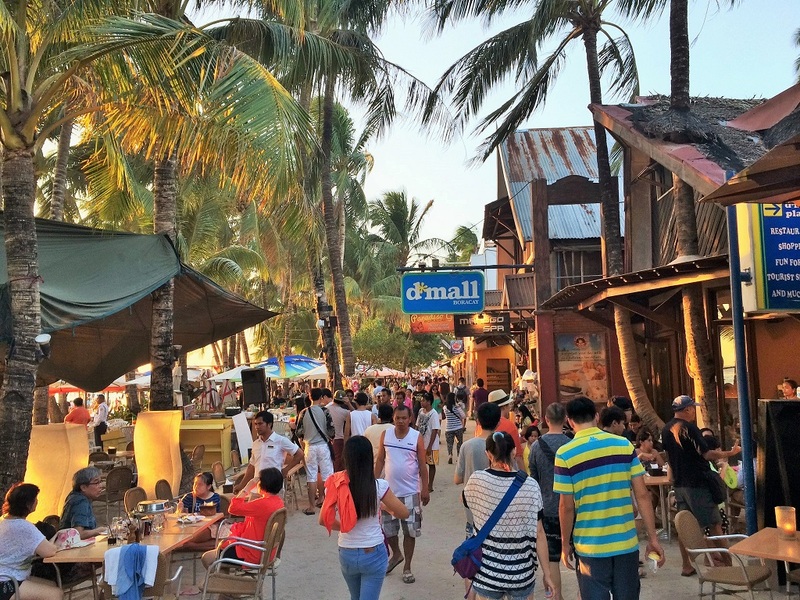 But if you’re looking for a tropical vacation with a good balance of beach, activities, nightlife, and amenities, then Boracay has all that and more. It has an abundance of Western cuisine, bars, cafes, and even shops. The food at most places we tried is actually quite good and the drinks are cheap. The internet connection is decent and most cafes & restaurants will have free wifi for use. You can also engage in any water activities you want, including sailing, scuba diving, kiteboarding, parasailing, etc. And of course, the sunsets are breathtaking. 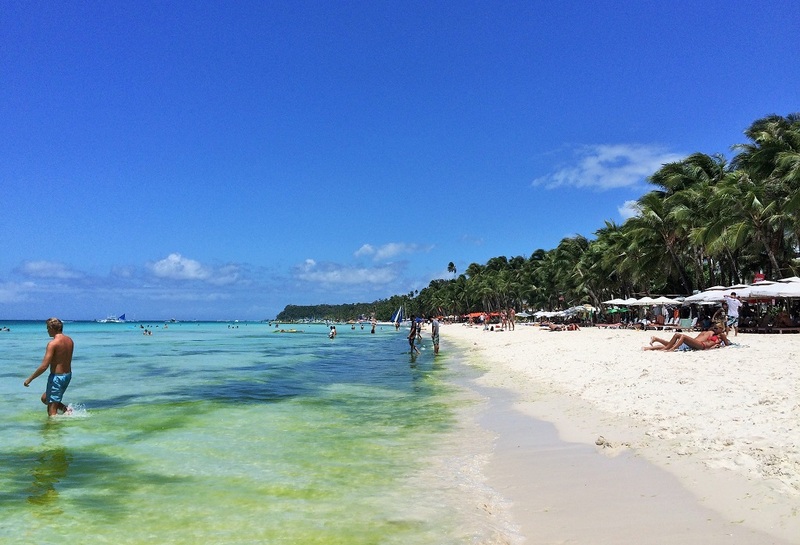 I focused on talking about White Sands Beach, but it is not the only beach on Boracay. There are several other beaches dotted around the island that will provide a different, more secluded experience. We didn’t get to go to a lot of them (I know, we had a month… there’s no excuse!) but I would recommend escaping the crowds on White Sands to check them out. No shops, no bars, no neon lights. There, you can still find pure, unspoiled paradise. Boracay was not our paradise but we were able to enjoy a month of living the island life while still being able to work. For that, Boracay offered what we needed. It probably would have been hard to work on a less developed island. We did have a good time, but personally we will not return. Koh Chang is still my ultimate paradise with its warm waters, lush jungles, and mountain roads. I’ve already talked about how we got robbed on our 4th night on the island. In the middle of the night while we were sleeping. Our airbnb host said that robberies, while not very often, do occur. And she cited a couple of other instances where people in the area had their apartment broken in to. Someone asked me if I think it’s dangerous given that we had a break in. I wouldn’t call Boracay dangerous as there’s no violent crime, but we were more cautious for the rest of the month. I would recommend that you check if your resort has a gate or not (ours didn’t) and be sure to check all your windows and doors every night. But I think in general, as long as you practice common sense, you will be fine. How to get there: There are two airport options to fly into: Kalibo or Caticlan. Kalibo is the international airport (and the one we flew into) and is located about 2 hours away from the ferry terminal. Once you exit the airport, there will be a number of companies offering transfers to Boracay for $250PHP/person (or approx. US$5). You will take a 2 hour van ride to the Caticlan ferry terminal, and then a quick 15 minute boat ride to Boracay Island. Once on the island, there will be tricycles to take you to your guesthouse or hotel. Fees: Everyone entering the island must pay a terminal fee of $100PHP (or US$2) and environmental fee of $75PHP (or US$1.50). 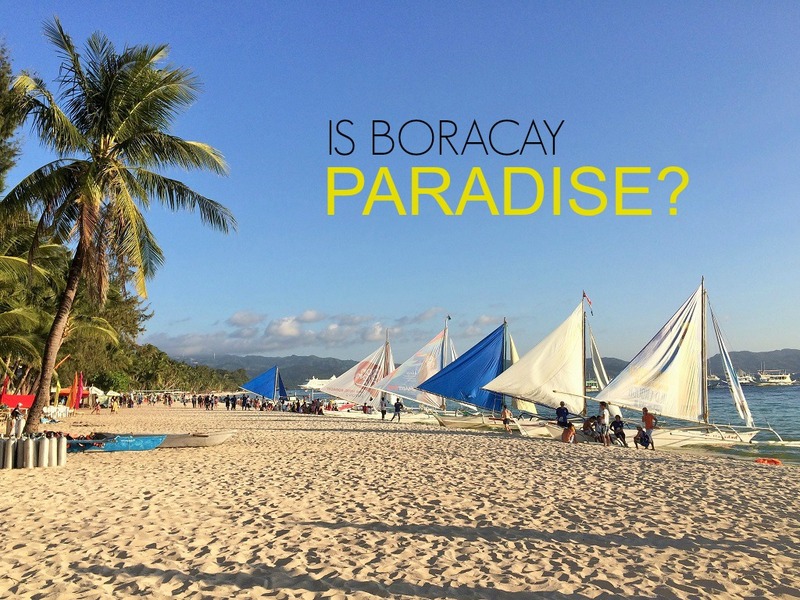 Have you been to Boracay? What did you think? If not, would you want to go? Linking up to Travel Tuesday. Oh Anna, I don’t know how I missed the robbery post – I’m so sorry to hear that happened. 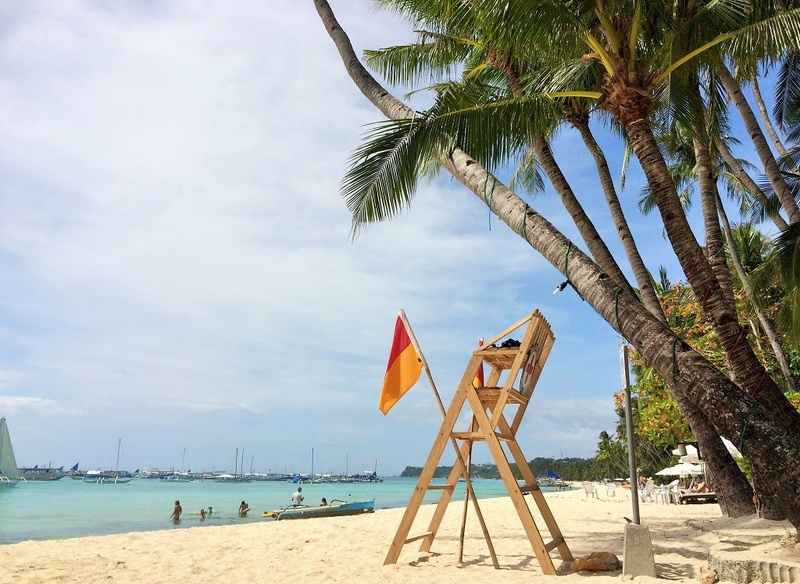 But with regards to Boracay, I’m so glad you wrote this post as I’ve been so tempted to visit Philippines one day since seeing so many great blog posts but wasn’t sure whether the nicest beaches are I’m Palawan or boracay or Cebu etc and this is a really balanced but informative post. the algae definitelying puts me off as does the cold water – I just can’t see myself getting in if it’s that cols so I’d probably need to research things in more detail if I ever did head to Philippines. 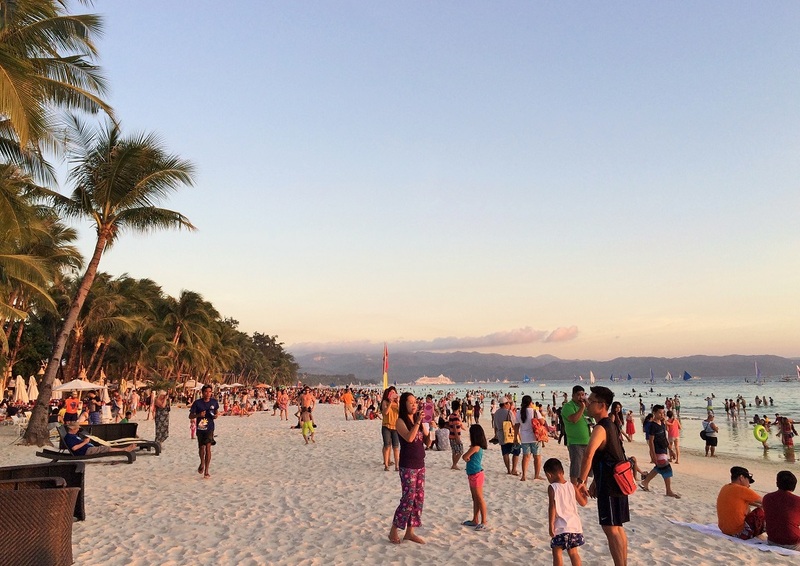 Boracay is definitely over-developed, but I think it’s a good choice if you want to go to a tropical beach with amenities. If we head back to the Philippines, I would want to check out Palawan as I hear it’s still relatively undeveloped. We didn’t go because we were afraid that it wouldn’t have stable internet connection and D needs to be able to work. So Boracay was good for us in that regard. Jamie in the comment above said she went in January and there was no algae and the water was warm. The water wasn’t freezing or anything in March but I am kind of a wimp! I was just so disappointed that it wasn’t warm like on Koh Chang! Oh I know what you mean about the poverty on the interior of the island. I felt horrible about it too but I really don’t know the situation enough to comment on it. The hassle on the beach didn’t bother me tooooo much maybe because we got used to it in other SEA countries (especially in Siem Reap!! ), but that is a good point and I should add that in. I’m glad you had good water conditions though when you went!! I was so disappointed by it because I had been looking forward to playing in it for so long! Katie, knowing the kind of places you go to and adventures you have, you probably wouldn’t like Boracay at all! I would go to other beaches/islands in the Philippines too that don’t have such a party atmosphere. I really look forward to reading about where you decided to go!! Ewww that green slime! That would be enough to deter me right there. I know! I had NO idea that Boracay had this at certain times of the year. It was such a nasty surprise! I really enjoyed reading this Anna as it’s a place I know nothing about, apart from your blog posts. What a shame about all the green slime, especially when you realise the cause of it. It made me wonder I’d there is anyplace that is 100% paradise? By that, I mean paradise like it depicted through photos on pintrest and instagram. But then I realised, paradise is definitely different for different people, as you said: it wasn’t your paradise. I was so disappointed by all that green stuff and yeah so gross to find out the cause of it! I’m sure there are beautiful unspoiled beaches left in this world but they are probably so remote that it’s a huge hassle to get to. And we wouldn’t be able to work there. I’m still glad that I got to live the island life for a month! The picture with the sun behind the sailboats, amazing! The green slime is definitely a big turn off! Reminds me of our so-so beaches here (Galveston) and the mounds of seaweed! The sailboats are really picturesque, aren’t they? Even with all the people in the view! Yuck, a lot of seaweed is gross too, but hopefully those are just completely natural occurrences! This was so interesting to read! I certainly don’t know much about Boracay but what I did know aligned with the “tropical paradise” line of thinking. I love these honest sorts of posts… really helpful to anyone looking at this area to plan a trip. Yeah it’s so important to know the not-so-good aspects of a place too! 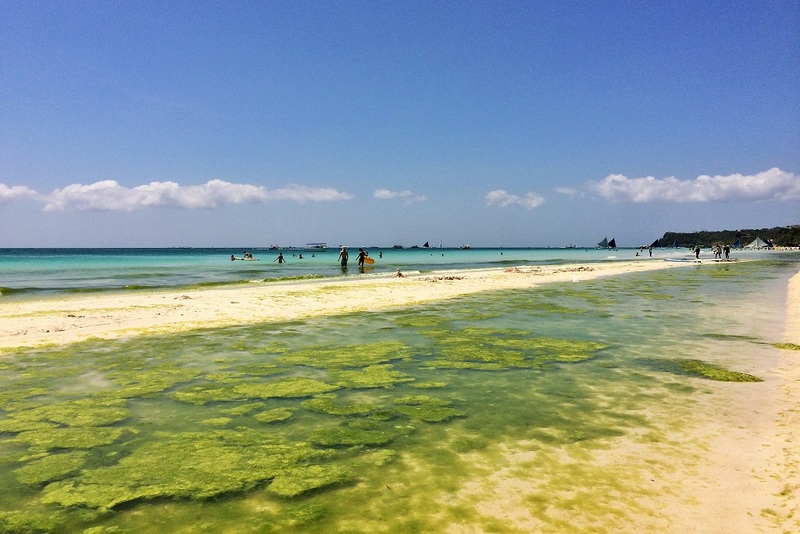 I haven’t read anything bad about Boracay so I was not expecting to see green stuff in the water or poor snorkeling at all!! I would hate people to spend a lot of money going there for a vacation and be disappointed too. It’s these kinds of posts that make me love your blog! I always wonder why people shy away from sharing some of the not so charming bits about a place, every place has a rough side. I don’t think it takes anything away from the good points of the place. The green slime though… that’s kind of eww. What the @#!# with the green soup thing. It’s a shame that pollution is causing this! Have you ever been to a beach in Mexico? Not to be biased or anything, lol but it would be nice if you guys had a chance to explore them. You will love them! I know, right?! We haven’t been to Mexico yet, though I’m really interested in going someday! I hear good stuff about their beach towns, and I’m sure we’ll love it, as long as it’s not a party beach! Yes! I was saying that I thought Lanikai beach on Oahu had sand just as white and soft!! And the water there was so nice and warm and the snorkeling was great too! Philippines is definitely a wonderful place to visit with so many gorgeous islands. 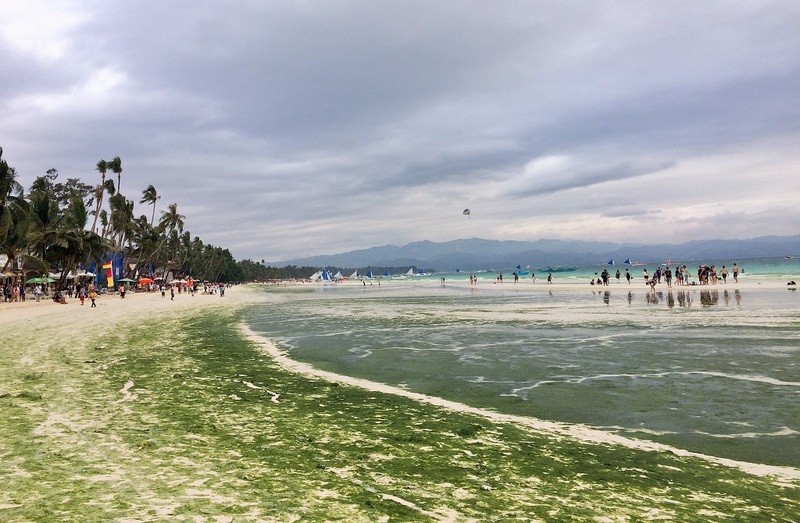 But I can see why Boracay is all polluted, I definitely would hate the green slime and all that, not my thing. Interesting! I’ve been to the Philippines but I decided not to go to Boracay. After 5 months on the backpacker trail in SE Asia, I decided to try and do something different. 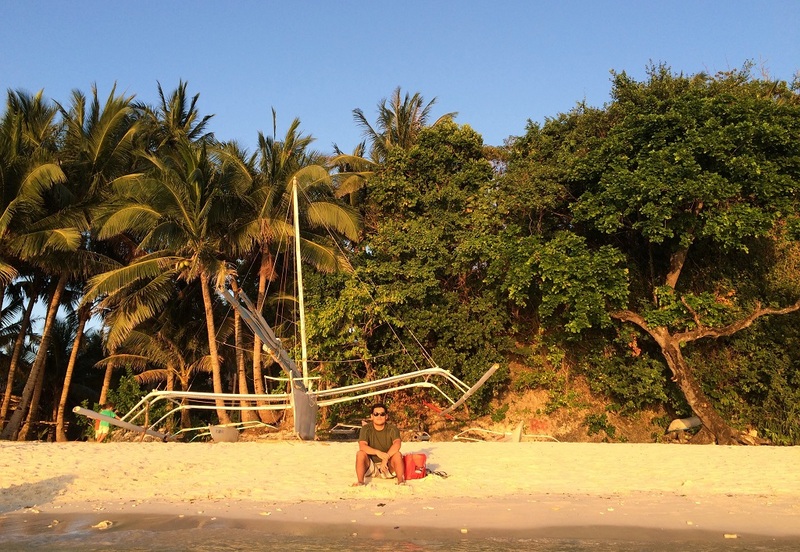 I spent most of time on Siquijor also in Visayas. There were still backpackers there, but nowhere near the amount i’d imagine go to Boracay, and the island is beautiful, highly recommend it! I’m from the Philippines (Manila) and I agree with what you’ve written here. 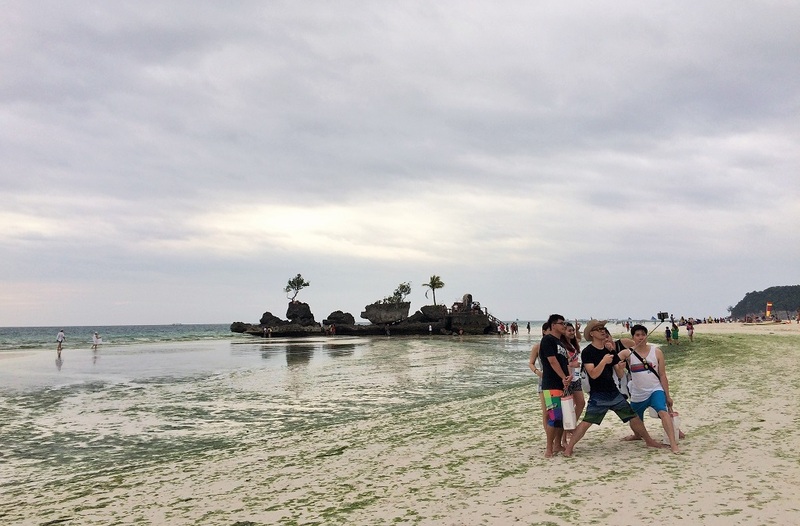 I’ve been to Boracay a few times with my family, and though it’s our most famous beach, I’d say it’s not the best. Boracay has the white sand and the nightlife, etc., but if you want a beach/island life experience, there are better places. 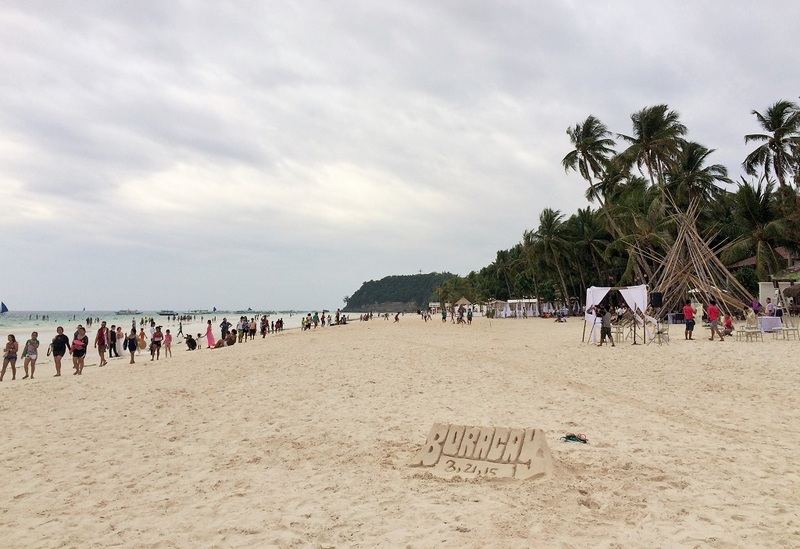 Over the past few years, “LaBoracay” has become famous (going to Boracay on Labor Day week with friends to party nonstop) and the immense number of tourists and their lack of consideration for the environment has resulted in the despoiling of the once-pristine white sand beaches. The algal bloom has worsened and the beach is littered with trash especially after events and parties. It also smells really bad in some parts, as you mentioned. Off the top of my head, other beaches I’ve heard good about (which I haven’t been to) include Siquijor where Enchanted River is, Siargao for the surfing, Panglao in Bohol… I hope you will be back to visit our other great travel destinations! I have been to Boracay twice and will be going back for the 3rd time this Christmas. The first time I went was during my 2 years living in China, so I’d say I was used to the Asian and Southeast Asian mentality, having university friends mostly from countries in that area. 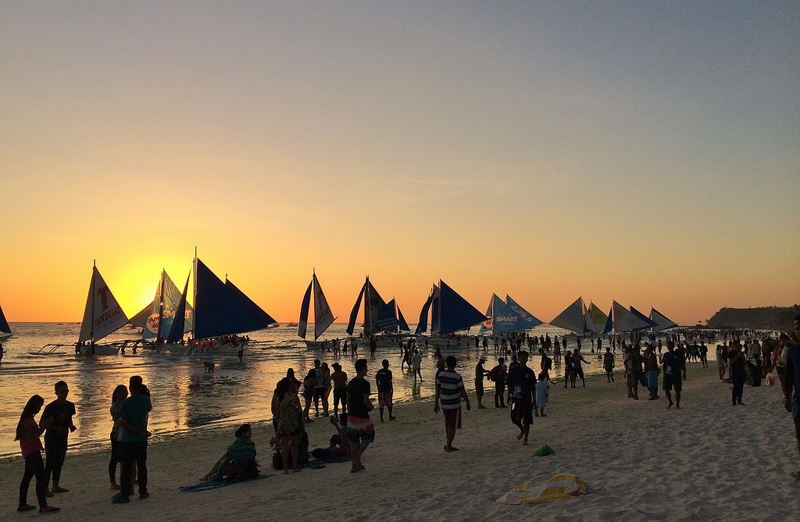 My first time in Boracay was a little similar to yours, especially with the algea, as the timing was almost the same – end of February/ beginning of March – back in 2015. Stayed at Station 3 which I believe was a great choice to have a calmer, more relaxing holiday. About the algea I talked to several locals who grew up on Boracay Island and according to them it has always been there when summer was about to arrive, because of the climate change it now comes 1-2 months earlier. The “green soup” put me off a little bit as well, however I loved how locals were, very kind people, finding the beauty in every sunset and not worrying too much about difficulties in life, just enjoying a laid-back lifestyle. I made a few friends there so it was a great reason to go back and as for their suggestions spend Christmas in nice summer heat. What a perfect decision that was! I went back with family for Christmas 2016. No algea at all, perfect waters, the sea was 30-31 celsius degrees, obtained my PADI open-water diver certification, down at 20 meters the water was still 28 celsius degrees, I couldn’t have wished for more. To be honest I loved the fact that it was not as humid as it gets in February and March. There are all the other beaches, like Diniwid, Puka Shell, Ilig-Iligan Beach and actually if you go to the Southern bit of Bulabog it’s quite calm there too. Though I am sorry for your kind of negative experience and totally agree that everyone needs to find their kind of paradise.